Introducing a mentor into a children’s composition project: Reflections on a process. Millie (Linda) Locke & Terry Locke (2012). Introducing a mentor into a children’s composition project: Reflections on a process. Thinking Skills and Creativity, 7(1), 8-20. This article reports on a case study where a professional musician was assigned to a primary school as mentor in a project where 14 primary-aged children, with their teacher’s direction, were involved in the composition of a piece of music that would act as prologue to the school’s major production. The researchers were interested in aspects of the composition project that appeared to develop student’s compositional skills and motivation and how the mentor might exercise his role in the composition project alongside the teacher, who was the school’s music specialist. A range of data were analysed: classroom observations, emails, questionnaires, and one-on-one and focus-group interviews. Findings suggested that the involvement of the mentor was well received by the pupils and that the mentor and teacher complemented one another in their enactment of both pedagogical and compositional roles. Students enjoyed a high sense of success in the production of their composition. Student learnings were highly variable and a range of activities and processes were identified by students as contributing to their learning. 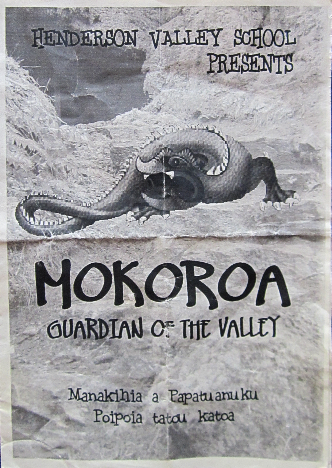 This project was linked with a study conducted by Terry Locke and Viv Aitken which investigated staff and student responses to a devised school production, which involved Year 5 and 6 classes devising scenes as part of a narrative which told the story of the Waitakere Ranges. The production also involved interludes and an overture/prologue featuring music from the above study involving the APA Mentor. Aitken, V., & Locke, T. (2013). The effort was only just worth it! The school production experience of teachers in a New Zealand primary school. New Zealand Journal of Research in Performing Arts and Education: Nga Mahi a Rehia, 4, No pagination. Locke, T., & Aitken, V. (2013). Not just a walk in the park: The school production experience of upper primary students in a New Zealand school. New Zealand Journal of Research in Performing Arts and Education: Nga Mahi a Rehia, 4, No Pagination.